As I mentioned in a previous post Subterranean Press will release a new edition of Arturo Perez-Reverte’s “The Club Dumas” and the artwork for the cover and the interior illustrations will be made by Vincent Chong. “The Club Dumas” is a very interesting and captivating novel which I enjoyed a lot, as I enjoyed the others Arturo Perez-Reverte’s works I read, and Vincent Chong is a very talented artist who produced amazing artworks in his career. And once again he made a wonderful cover artwork, a powerful image that matches perfectly the book. On the title page at the Subterranean Press website you can find also a few of the introduction illustrations for the each chapter of the book. 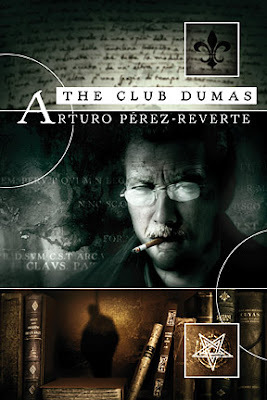 This edition of Arturo Perez-Reverte’s “The Club Dumas” will be published on late 2009 or early 2010.